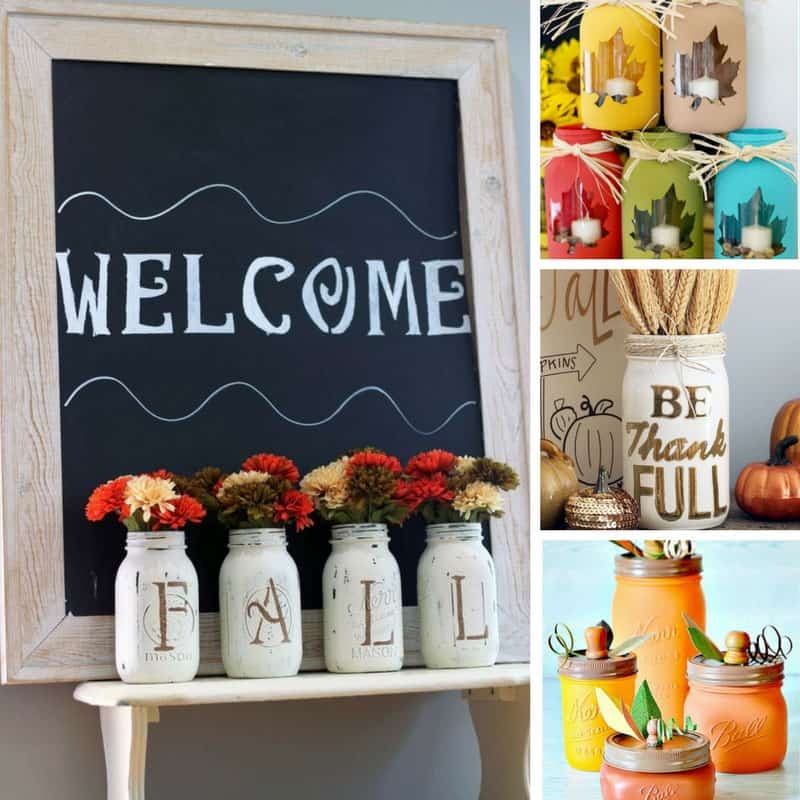 Home > Holidays > 2019 Thanksgiving Food, Decor & Craft Ideas > 18 Fabulous Fall Mason Jar Craft Ideas Your Mantel Will Love! If you’re making a list of things you’d like to make to decorate your home you’ll be inspired by these Fall mason jar craft ideas! Yay Fall is here, which means another excuse for making things with jars! Whether you’re looking for something to put on your mantel, or use as a centerpiece you’ll find what you need in this list of gorgeous Fall mason jar craft ideas. I found everything from burlap wrapped jars and sunflower thumbprints to candy jars that look like pumpkins and even a jar wrapped with corn husk! Previous PostPrevious 25 Easy Painted Rock Ideas to Turn Simple Stones into a Work of Art!